The CO2 Gas Company is your specialist supplier of drinks dispense gas and cellar gas equipment. We work with independent landlords as well as leading pub, restaurant and hotel chains across London and the South East. Our cellar engineers provide professional installations, as well as offering advice on cellar maintenance, and can be contacted directly in case of emergency. With weekly or fortnightly deliveries from our experienced drivers, and our proven cellar management system, your gas couldn't be in safer hands. Our fleet of drivers supply the capital and surrounding counties. If you're in London or the South East, we've got you covered. Whether you're an independent landlord, pub group or restaurant chain, our tailored service means we can we can offer the best rates in the industry. "In BrewDog bars, beer quality is our number one focus and the guys at the CO2 Gas Company have been an awesome partner to help us dispense our beer in the best possible condition." "It's easy to order and to schedule deliveries at a time frame that suit us. Even during the national CO2 shortage, they kept us up and running. Ministry of Sound never settles for second best. We give them a 5-star rating." "We've been supplied by the CO2 Gas Company for over 12 years now. The deliveries, the drivers and the gas itself has never come in to question. A very good service." 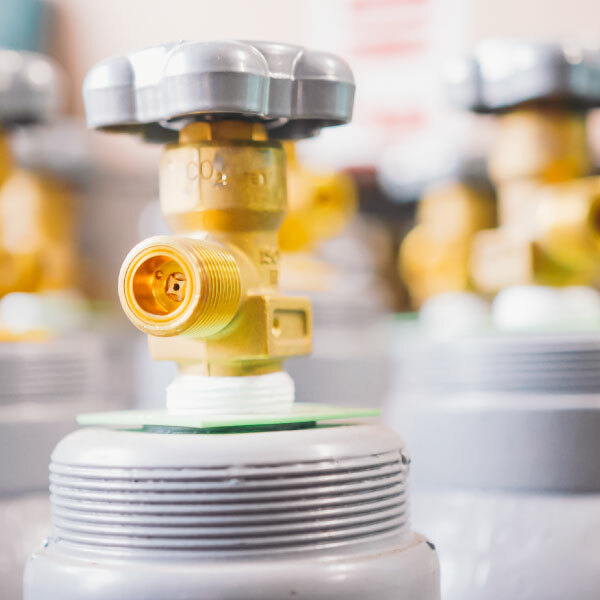 "Not only has the CO2 Gas Company provided us with great service, we can honestly say that the products and the staff have been above and beyond. " "The CO2 Gas Company's honest advice, reliability and competitive pricing have resulted in us developing a fantastic working relationship." In our commitment to quality and health & safety, we’re recommended by the Brewing, Food & Beverage Industry Suppliers Association as an official supplier. The BFBI’s Gas Suppliers Accreditation Scheme means our supply and installation of pub gas consistently meets the highest industry standards.